Hedy Lamarr, an Austrian-American actress in the mid-1900s, was known as “the most beautiful woman in the world” at the height of her career. A few of her notable films she starred in include, “Samson and Delilah,” “Joan of Arc,” and “White Cargo.” Her iconic beauty defined her legacy for most of her life. However, Hedy was also a pioneer in the field of wireless communications. During World War II, in an effort to combat the Nazis, she manipulated radio frequencies at irregular intervals between transmission and reception, that created an unbreakable code to prevent classified messages from being intercepted by the enemy. Consequently, she invented the frequency hopping spread spectrum technology, which would become the precursor to wireless technologies we use today including GPS, Bluetooth and Compustar Remotes! 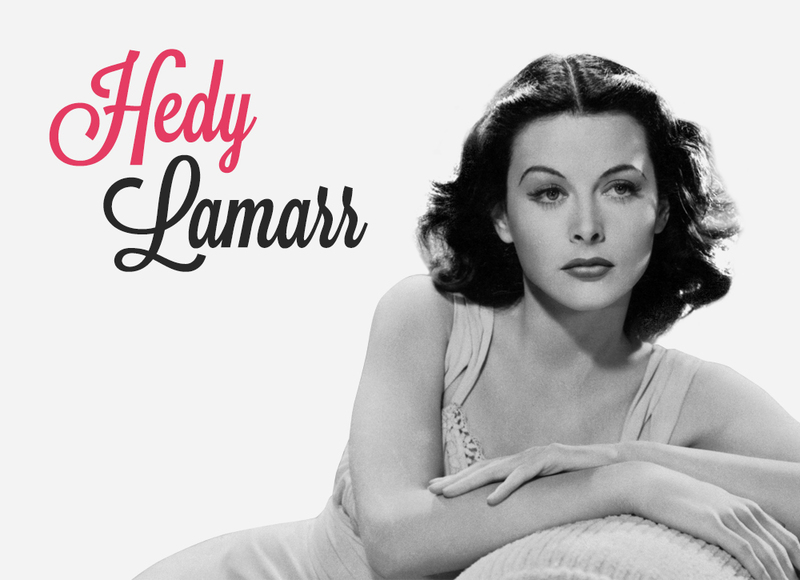 That’s right, not only was Hedy Lamarr a bombshell actor, she was also a super-genius inventor and US patriot: talk about being a true triple threat! 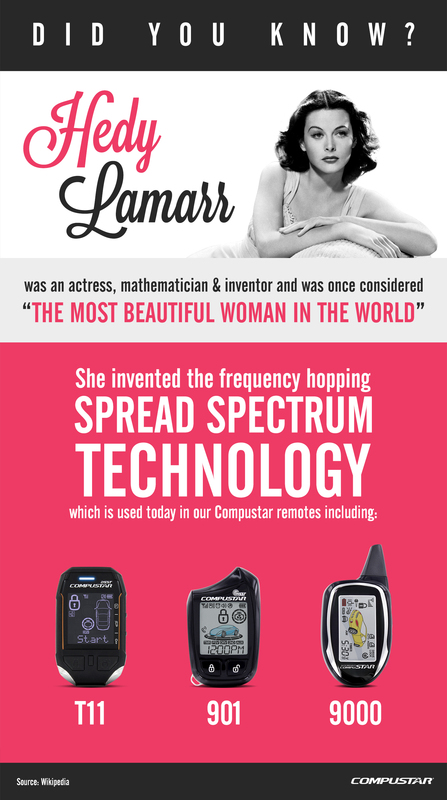 Today, we honor Hedy Lamarr whenever we remote start our cars using spread spectrum technology, which can be found in the Compustar PRO T11 as well as the Compustar PRIME 901.